Hello there, and welcome to this info page about all things related to backyard cottages and in-law apartments in Seattle. We put this guide together for you, the Seattle homeowner interested in learning more about building a cottage in your backyard or an apartment in your basement. Perhaps you want some rental income or just have some extra space. If so, a backyard cottage or ADU can be a great choice, but the regulations can be a bit confusing, and Seattle is in the midst of changing them. There's probably more information here than you can take in, but we hope you can use it to get ideas and get started on your backyard cottage project. If there's anything you think should be included in this guide, we'd love to hear about it. You can email eric@crddesignbuild.com. Be sure to check back frequently or sign up for updates because we'll be adding new information as it becomes available. Sometimes called “mother-in-law apartments,” accessory dwelling units, or ADUs, these are self-contained living spaces built into your home. To create these apartments, you can convert your basement by adding an outside entrance, egress windows, and a small kitchen, or you can add on to the back or side of your home. To be official, an ADU must have its own private entrance and meet certain other requirements. What is a backyard cottage? Detached accessory dwelling units, or DADUs, are small, standalone houses built behind your main home. They allow you to maintain your privacy and all the square footage in your main house while creating extra living space. DADUs are also known as "backyard cottages." Homeowners often opt to build these over a garage. What are the benefits of backyard cottages? There are many benefits to building these units alongside an existing single-family home or townhome. Backyard cottages provide many of the benefits of single-family homes, with no shared walls and a lower-density-neighborhood lifestyle. They can promote economic diversity in neighborhoods that might be out of range for average-income renters. ADUs and DADUs can provide passive rental income for the homeowner. This can help homeowners of modest means stay in their homes or simply put extra cash in your pocket to help pay the mortgage or pay for home improvements. DADUs are an example of infill development, which slowly increases density and taking advantage of existing infrastructure. Both ADUs and DADUs can help reduce sprawl. Seattle's population is growing due to the economic opportunity here, and we must increase our housing stock to keep pace. When compared to highrise developments, ADUs and DADUs are a solution that helps preserve the character of our beloved neighborhoods while empowering homeowners instead of large developers. So you want to build a backyard cottage or ADU? Great! The first step is to make sure you know all the rules. There are some major changes to the regulations in the works, but let's take a look at the current regs. Size limit: ADUs must be 1,000 square feet or under in a single-family home or 650 square feet and under in a rowhouse or townhouse. 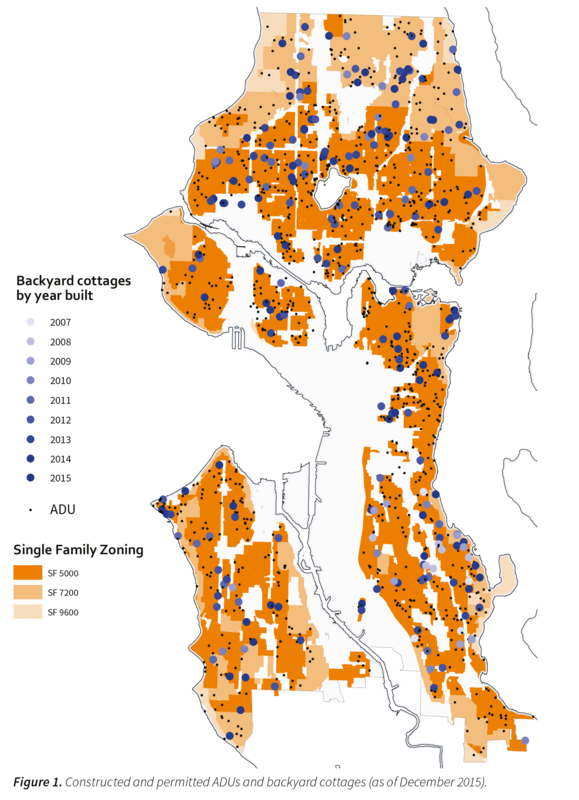 Meet codes: The ADU must meet current standards of the Seattle residential, building, mechanical, electrical, energy, land use, environmentally critical areas, and shorelines codes. Parking: The homeowner must provide one off-street parking space for the ADU, except for a rowhouse or townhouse in designated urban villages and urban centers and in lowrise zones. Backyard cottage regulations are more hotly contested and a bit more complicated than those for in-law apartments. 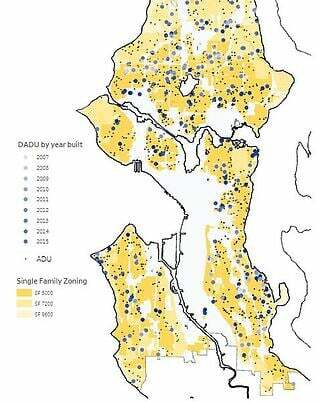 The city started a pilot program in 2006, allowing DADUs to be built in Southeast Seattle. It was considered a success, and the city expanded the program to include all of Seattle in 2009. 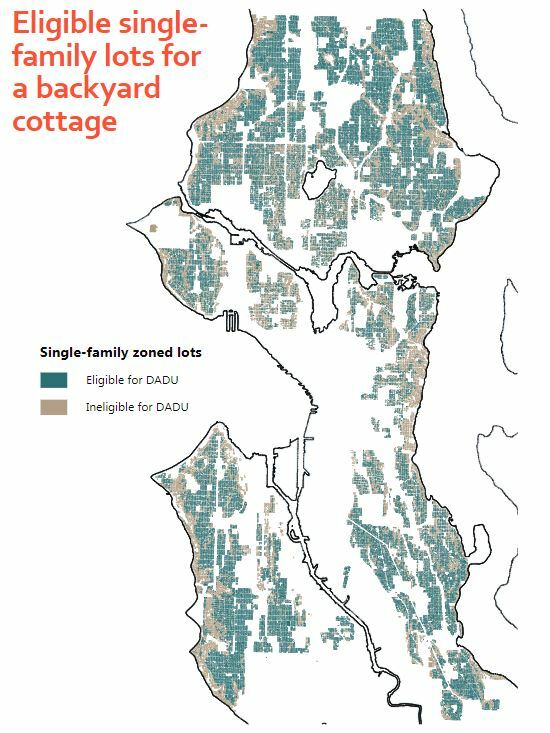 However, as of 2016, only 221 backyard cottages have been built out of the roughly 75,000 single-family lots that are eligible. Lot size: Your lot must be 4,000 square feet in a single-family zone. The city is not currently accepting variances for this requirement. Cottage size: Only 800 square feet is allowed for DADUs in single-family zones and 650 square feet for units in a lowrise zone. If your DADU incorporates a garage or storage area, that square footage counts toward your total. Codes: As with any construction project, your backyard cottage must meet current land use and building standards. No surprise here. Parking: Just like for an ADU, you must be able to create one off-street parking space for your new backyard cottage. Doubling up: Both an ADU and a DADU would be allowed on the same property. Currently, you can only have one or the other. Height limit: You could build a cottage up to 2 feet taller than current regs, depending on your lot width. Basically, this would make it more feasible for you to build a DADU with a second bedroom. Parking: The requirement for an off-street parking space would be removed for houses in many areas. Lot coverage: If your backyard cottage is only one story, it could cover 60% of the rear yard (up from 40%). Owner occupancy: You would no longer be required to live on site in perpetuity, just for a year after the unit is created. Lot size: The required minimum lot size would drop from 4,000 square feet to 3,200 square feet. Floor area: The max square footage of your cottage would increase from 800 to 1,000 square feet. Garages exempt: If you build your DADU above a garage, the garage square footage would no longer count toward your total. The Office of Planning and Community Development issued a State Environmental Policy Act (SEPA) Determination of Non-Significance (DNS) in May of 2016 on my proposal. Following the release, the Queen Anne Community Council appealed the DNS to the hearing examiner. This past December we received the response from the Hearing Examiner that reversed the DNS. After thorough examination of the Hearing Examiner’s response, we have decided to pursue a full environmental impact statement (EIS). This process will likely take a year to complete. The full EIS will enable us to look deeply into the potential environmental impacts of the proposed code changes and inform our proposal before we bring it to the Planning, Land Use and Zoning Committee. There will be multiple opportunities for input during the EIS process. We will keep you informed of these opportunities for public comment and encourage you to engage. When the EIS is complete, we hope to bring legislation to committee by mid-2018. I believe lowering the barriers to creating backyard cottages and in-law apartments is an important part of addressing affordability across the city, and am looking forward to continuing to pursue this legislation. If you have further questions, please reach out to Susie Levy – susie.levy@seattle.gov or call our office at 206-684-8800. If your home is located outside of Seattle city limits, you may still be able to build an in-law apartment or backyard cottage. The information about Pacific NW ADU and DADU regulations was compiled by the Master Builders Association of King and Snohomish Counties. It is important to verify this information with your local building authority. Download a PDF summary of regional accessory dwelling regulations. Follow their Twitter hashtag #COTTAGEPALOOZA for updates. 40 percent of the total square footage of the residence for ADUs. Not less than 300 square feet or greater than 800 square feet. Owner occupancy required in one of the two units. One off-street parking space required. ADUs not currently allowed in new construction. If detached: 800 square feet or 33 percent of the size of the principal unit, whichever is smaller. If attached: not more than 40 percent of the principal unit. One off-street parking space. One of the dwelling units must be owner-occupied for at least six months a year. Interestingly, Kent does allow ADUs in both new and existing single-family dwellings. 75 percent of gross area of the principal unit or 800 square feet, whichever is less. Most have design standards requiring consistency with the primary residence. Owner must reside within either dwelling. Requires additional off-street parking stall unless within a quarter mile of a transit stop. No larger than 75 percent of the primary residence or 800 square feet, whichever is smaller. Owner must occupy one of the two units. Recent policy change to incentivize ADUs in new construction: In a subdivision of 10 or more new residential units, development fees for ADUs are waived by 50 percent and waived in full for every third new ADU. This incentive was extended through 2020. One accessory unit allowed per single-family dwelling. May be within or detached from the principal dwelling unit. The primary unit or the accessory unit must be owner occupied. An attached accessory unit cannot exceed 40 percent of the total area of the principal residence and the ADU. The size of a detached ADU may not exceed 800 square feet. The total area of all detached accessory structures on your property may not exceed 1,200 square feet plus 10 percent of the lot area that exceeds 7,200 square feet. The number of residents of the ADU and the principal dwelling unit combined must not exceed five unrelated individuals. One off-street parking space required, in addition to the two required for the primary residence. Primary entrance to the ADU must be clearly secondary to the main entrance of the principal unit. ADUs are not to exceed 50 percent of the primary residence or 950 square feet, whichever is less. They must match primary residence. One additional parking space must be provided and owner occupancy is required in one of the two units. 15 percent of total lot in R4.5, R6.5, R8, WR R4-8; 20 percent of total lot in R12-28 and WR6-18 zones; or 80 percent of primary floor area, whichever is less. Legal owner must reside within either dwelling. Requires additional off-street parking stall. Size is limited to 50 percent of the size of the main dwelling. Owner occupancy required in one of the two units. One off-street parking space in addition to two for the main house. Size must be 50 percent of gross primary floor area or 800 square feet max, whichever is less. Legal owner must reside within either dwelling. One additional off-street parking space, in addition to existing SFR requirement. City updated outdated ADU regulations this year and removed construction barriers to build with minimal impact in existing residential neighborhoods. Adopted regulations earlier this year to allow ADUs or DADUs up to 800 square feet in order to increase housing stock. Has a Residential 2 (R2) zone that allows for the construction of duplex, triplex, quadruplex, attached townhomes of no more than 4 units, and small ADUs and DADUs. Size to be 50 percent of gross primary floor area or 800 square feet max, whichever is less. Must comply with city design standards. One unit occupied by the land owner. One additional parking space required, for a total of three parking spaces. The city is in the process of reviewing, amending, and updating its ADU regulations with a targeted completion date and anticipated vote at council in January 2019. Size to be 60 percent of primary residence or 900 square feet, whichever is less. Design elements must be consistent with main house. Legal owner must reside within either dwelling. One additional parking space must be provided. possible, be designed with a covered porch and primary area facing the common area to encourage interaction and community. 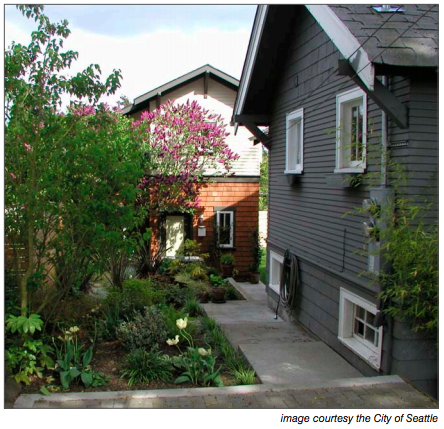 In March 2019, Tacoma legalized backyard cottages and relaxed restrictions on in-law apartments (ADUs). They are exempted from off-street parking requirements. The owner is not required to live on the property, unless the ADU is used for short-term rentals. No minimum lot size. Allows for zero setback for DADUs on alleys. Stay up to date on the latest in-law apartment and backyard cottage news. 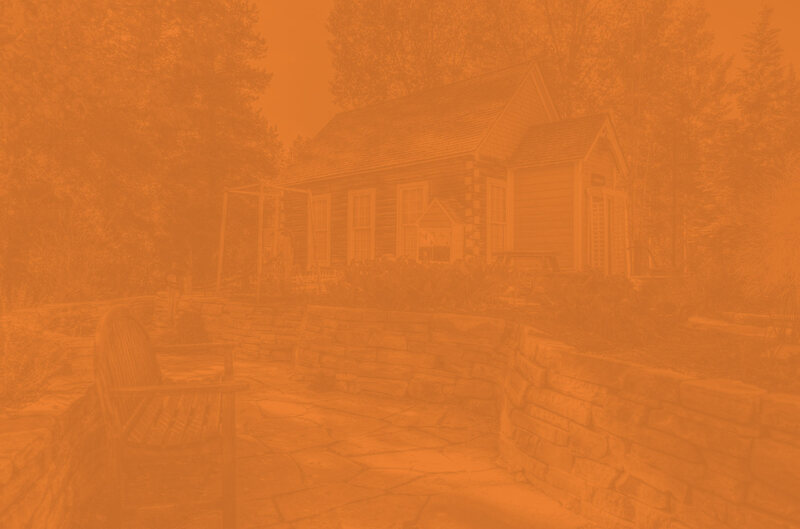 Want to explore CRD's full-service design-build approach to backyard cottages and ADUs, please contact us.